Rejoice, for the first teaser trailer for Mockingjay is here. The added bonus to this announcement is the realization that Mockingay: Part 1 is being advertised with an incredible aesthetic far beyond even the spectacular visuals of the first two Hunger Games movies. It might just be one of the most beautiful blockbuster movies you will ever see — and the campaign the Hunger Games team is running with is also worth an art history lecture. With the new poster designs and trailer, the series has adopted a bold, clean aesthetic different from the previous movies and influenced by inter-war and World War II propaganda — all delivered with a futuristic, dystopian twist. Publicity that is so self-aware and symbolic is a sign that a young adult film can do something savvier and smarter than perhaps what the genre has previously been given credit for. The first teaser is doused in white, a public service announcement from President Snow on Capitol TV as the kidnapped and brainwashed Peeta stands by his side. Everything is blank and crisp, and a Capitol logo emerges from the wall like a wax seal. It&apos;s a stunningly subtle moment of CGI in a clever first teaser. The marketing campaign for Mockingjay, which also took off this week, includes a series of visually stunning posters praising members of the various districts in Panem, from the miners of District 12 to the fisherfolk of District 4. This style is far less about showing the dynamism and drama of the movie than it is about exploring the book&apos;s central themes of fascism and unequal distribution of wealth by drawing on the artworks of real world dictatorships. From the monochrome but sinister trailer, we see a more morally rich mix of jingoism and deception — the perfect summary of the universe of The Hunger Games without even using the title. Each complementing poster has a clean, neutral background of green or beige and a stunning image of a handsome, healthy resident. Some characters, like the lumberjack of District 7, startle with subtle features like an intricate wooden leg or impressive tattoos. Others, like the goatherder of District 10, startle in outfits that are both high-fashion and folksy. 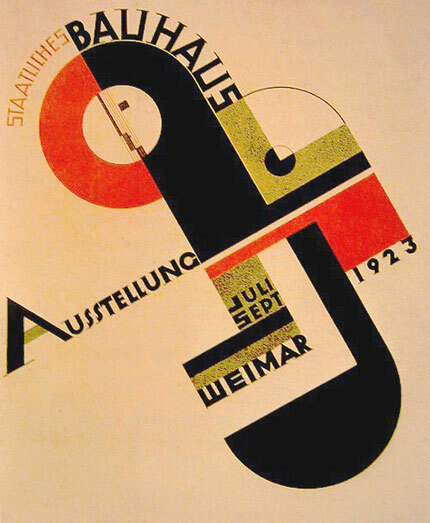 The text and logo on every poster, all sans-serif blocks and perfect columns, owe a lot to the Bauhaus school of design with an added homage to the inter-war art movement of Dadaism and a sprinkling of Soviet-era propaganda. The clever thing about the Mockingjay artwork is that it draws from the hyperbolic, grandiose design elements that almost all nations apply when at war — they are images that look simultaneously historic and futuristic. The harvester from District 9, for example, is as ethereally distant and visually flawless as Rosie the Riveter. This round of publicity is less about faux-glamour like the styles of Effie Trinket, or the shaky intensity and lush natural surroundings of the Hunger Games tournaments. It cuts out the burnished gold and epic font in favor of something simpler and far more sinister. These publicity materials are clean, crisp, emotionless, coordinated and menacing. There could not be a more perfect prologue to the climax of this story.